Looking to branch out beyond your usual reads? Want to find ways to tackle your shelves and incorporate authors you've never heard of before? Want to diversify your personal library? 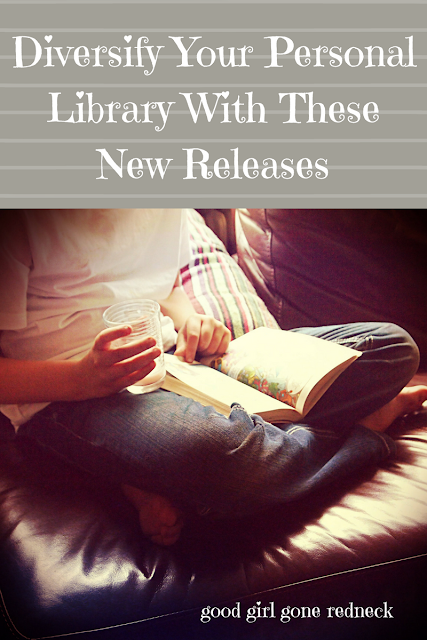 Let me recommend a few recent releases you can add to your to-read shelves. Links throughout this post bring you directly to a place where you can purchase the eBooks and thank you for using them, I'll make a few pennies towards the next book I buy when you do! Confession time. I have not watched Parks and Recreation. 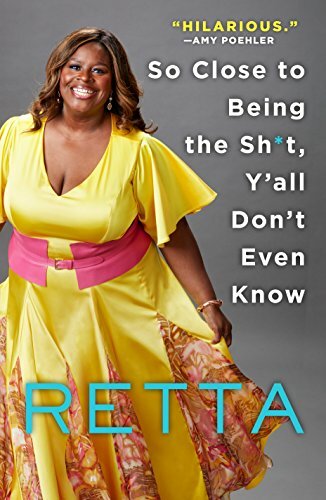 I have also not watched whatever the new show is that Retta is on where she is a thieving housewife or something like that. But I adore her, because I HAVE watched Girlfriends' Guide to Divorce. And she is so so very good in that show. And so, because of that? I'm reading this right now. And I'm encouraging you to do the same. She's adorable and hilarious, and real. And she has a handbag addiction. So we're practically twins. Except hers are Coach and Berkin and, well, all the kinds mine are not. But still. We could so totally be besties anyway. Plus? Look at this title, friends. So Close To Being The Sh*t, Y'all Don't Even Know, is there any better title out there right now? I'm thinking not. 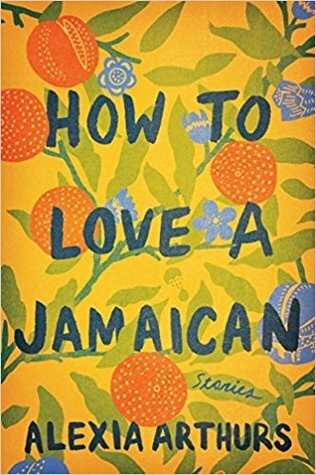 Although she has been writing for some time, Alexia Arthurs has published her first book in How To Love a Jamaican. Filled with page after page of short stories, Arthurs doesn't ask for commitment. You can easily read one story at a time. But I have a feeling you're not going to want to. That you're not going to be able to put it down. Just head over and click the "look inside" option. Start reading the sample story. Light-Skinned Girls and Kelly Rowlands. That's enough to get you hooked. It's that good. She's that good. I'll admit, all of the good things I've heard about There There didn't jump out at me as I made my way through the prologue. I honestly thought to myself something like - oh no, I'm not sure I'm ready for a history lesson. But I kept going. And I'm still going. I can't give you a full review just yet, but I do understand why the story of these "twelve unforgettable characters" has stuck with so many. Dive into Orange's debut novel with me, and join these powerful characters in their lives as they try to determine what it really means to be who they are. You guys? I really loved this book. It's just so so good. I can't explain the magic of it, but I can tell you that you need to get your hands on a copy. Emily X.R. Pan is just an author I know I'll be watching from this point forward. The mystical aspects of the story captured my imagination, but at the same time the characters held so much power in how they connected, argued, even, and found their way through the days of this story, that I related to them in such interesting ways. 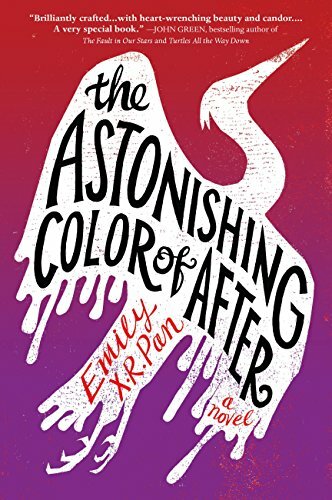 The Astonishing Color of After, is a must read. I don't use the phrase trust me often, but for this one? I might toss it out there if you asked me if I was certain. 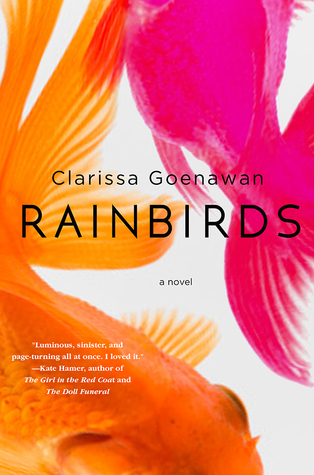 Because I read The Astonishing Color of After, Rainbirds has shown up repeatedly in book recommendations for me on a number of sites. From Amazon to Goodreads. 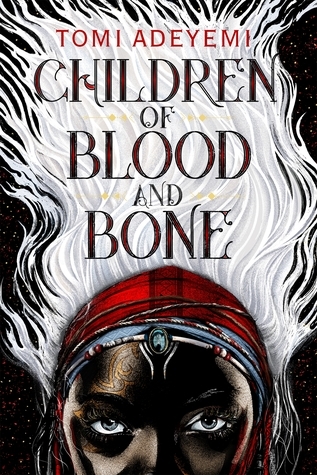 My eye, of course, was drawn immediately to the cover. It's stunning. Bright and beautiful. Eye-catching doesn't do enough to describe it. 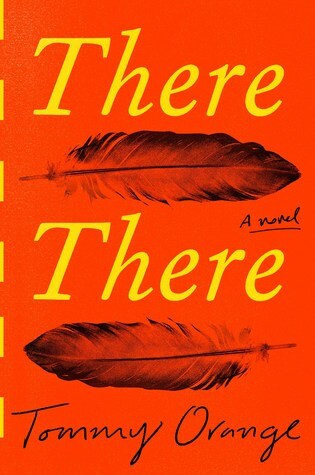 A story that pulls us into the mystery of a murder, the drama of a family and its relationships, and relocates us (unless, of course, you already live there!) to Japan - Goenawan's novel has received accolades across the board. This is absolutely the next book I'm going to purchase, even though I'm trying really hard to start with the books I already own. So that has to say something, right? The cover of this book has been enough to catch my eye repeatedly. It's been on a number of lists I've seen over the last month or so, and so I keep thinking I have already purchased it, which, honestly, the book hoarder that I am? - I may have. But I'm not sure. But I know I want to. 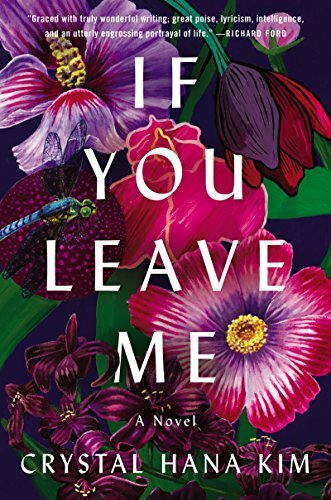 What I already love about Crystal Hana Kim's first novel, is that it is written from the perspective of more than one character. If you know me and my reading style, you'll already know I love those kinds of books. Being in the minds of more than one character is something that fascinates me - from a writing perspective - and as a reader. That alone makes If You Leave Me a books I can't wait to dive into. So, there you have it - a few of my recommendations to help you wrap up the summer, or kick off the fall, or get you through the winter - depending on how quickly you read! Looking for more suggestions? I have MANY. And please consider joining me on Facebook in my I Like Big Books group, where I share my favorite reads, and ensure that I post any deals I find for fellow readers like me. Hope to see you there!